Kalika School is in the village of Ratanpur in the district of Udyapuyr in rural Eastern Nepal. It lies about ninety miles from Kathmandu in the hills approaching the Terai, the sub-tropical area bordering India. These hills are somewhat lower than the Himalayas at under 7000 feet. The climate varies with altitude from fairly pleasant to sub-tropical. Life is tough in the rural villages of Nepal and the school and village have a very poor infrastructure. The money Katkando is raising for this project is to supply fresh, clean water to Kalika school by means of a borehole and the necessary piping and plumbing. I am thankful to SWAN the Nepalese NGO (non-governmental organisation) who are working in this area and who have offered this great project for KatKanDo to support. The full breakdown of costing for the work which comes in at around £2000 is available upon request. KatKanDo is happy to raise that money and, hopefully, more, to help improve the quality of life for the children and help them to achieve educational levels that will improve their life chances. We take simple things like water for granted but for these kids, fresh, piped in water and any other improvements we can raise money for can be a godsend. 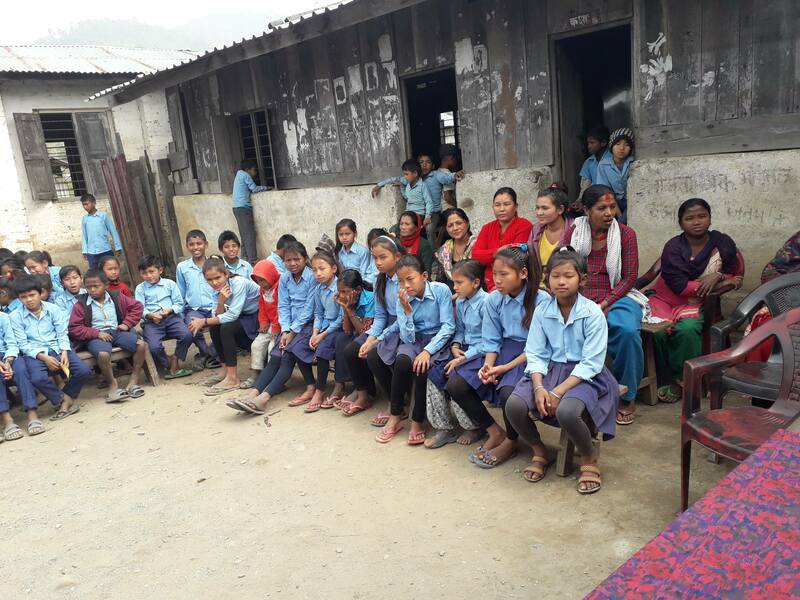 This, combined with necessary building improvements and the provision of better books and equipment can help these students towards greater economic independence in later life and help reduce poverty in the rural villages. If anybody wants to see the estimate, please contact me by email bryan@katkando.org.uk.